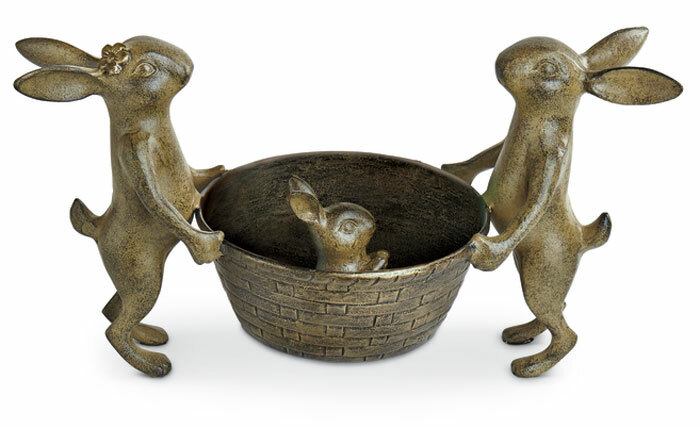 The rabbit family with basket is a handy planter and can also be used for wrapped candy. Crafted of cast aluminum with a verdigris finish, this statue/planter will bring pleasure throughout the year. Formerly $135, now 40% off. Discount may not be applied to prior purchases.